The NRA announced it is endorsing pro-gun candidate Marsha Blackburn (R) over D-rated Phil Bredesen in Tennessee Senate race. 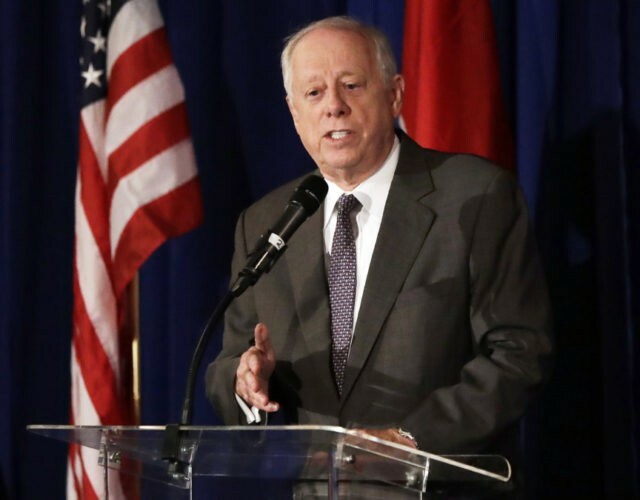 Bredesen was recently rebuked by NRA-ILA’s Chris Cox over an ad that made it appear Bredesen had a good rating from the NRA. On September 21 Breitbart News reported that Cox asked Bredesen to “stop lying” and pointed out that Bredesen’s NRA rating is a D.
Blackburn strongly opposes the Pelosi/Schumer/Bloomberg gun control agenda and will vote for pro-gun Supreme Court justices. She voted against legislation that would criminalize the private transfer of firearms between lifelong friends and many family members. In addition, she voted for the Concealed Carry Reciprocity Act, which will ensure that 20 million law-abiding gun owners who can carry a concealed firearm in their own state are able to legally carry concealed across state lines.